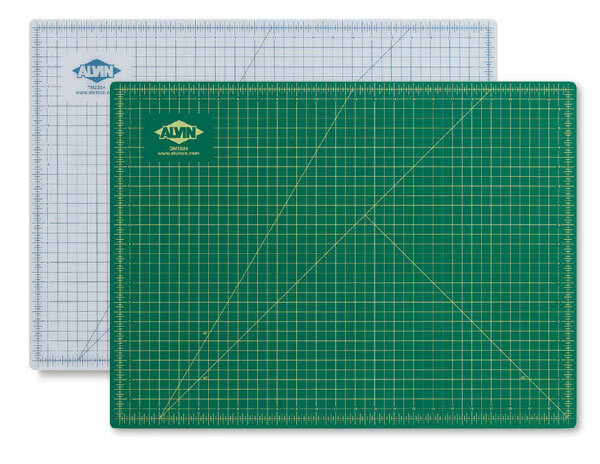 These protective cutting mats are made with a 3 ply resilient vinyl that heals so completely it can be used as a writing/drawing surface, even over previous cut lines. 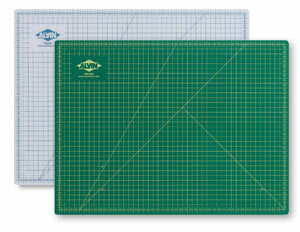 Cutting mats are recommended for calligraphers, designers, photographers, or anyone who has a desktop to protect. The translucent cutting mat provides a protective surface for lightboxes, as well as tabletops. Green/Black mats are double sided with grids printed on both sides.